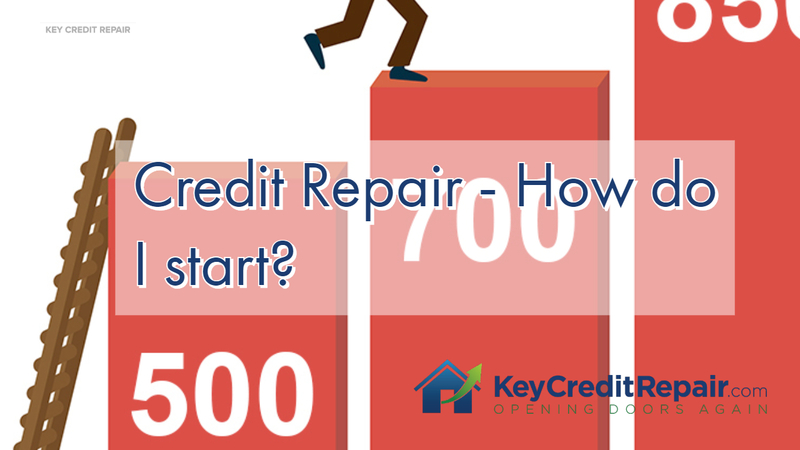 Credit Repair - How Do I Start? Home / Credit Repair Blog / Credit Repair – How Do I Start? 00:00 What’s up guys? Nik Tsoukales here with Key Credit Repair. Another great question we got … I’m going to read this actually right off our Facebook, um, post. Yvonne Drummer is asking, “How do I start to fix my credit?” Well, the way you start is by pulling your credit report, okay? This is half the battle. We get a lot of people that think their credit is a lot worse than it is because they’ve been hiding from their credit for so many years. And then we pull it and find that half the stuff they thought that was there is just not there. Okay? 00:28 Also, when you look at the data, immediately your brain will start to formulate a plan, even without Key Credit Repair, even without Nick, even without my team, you will begin to formulate a plan almost automatically by just simply looking at the credit report, okay? Put together your own plan, look at your own credit report, and then if you feel like you’re out of luck, you’re not sure how to handle it, then you can reach out to a professional agency that can help you formulate a more in depth plan. But the way you start is by starting. Pulling the credit report. Credit Karma, annualcreditreport.com, PrivacyGuard, there are a million and one websites. Just make sure that you’re getting all the data from all three bureaus and some sort of score, whether it’s a FICO four, five, eight, whether it’s a VantageScore, as lon as it’s a score that can gauge where you are, you know, in the rankings and the grand scheme of things and it can give you kind of an A, B, C, D or F grade, you’re in great shape, but again, recap, just get started.